Few cars are more iconic than a Lamborghini. They’re a car that evokes the same reaction when people see it all across the world – a ‘wow,’ head-turning response that comes with seeing one of the world’s most powerful sports cars. The sleek profile, predatory edges, and throaty growl of a Lamborghini is truly one-of-a-kind. Perillo Downers Grove knows that feeling intimately – our passion for the Lamborghini brand is as great as the engineers who assemble these performance powerhouses in the factory in Sant’Agata Bolognese, Italy. And we’re proud to bring that tradition here to the U.S., and the great state of Illinois. 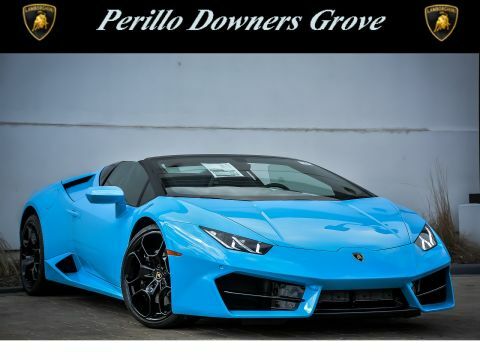 We’re one of the few dealers in the greater Chicago area with both new Lamborghinis for sale at some of the most competitive prices. We also offer extensive after sale services and items such as regular maintenance, repairs, upgrades, and much more. Want to see what we can do to get you into a new Lamborghini today? Give us a call at 630-241-4848, or stop by our showroom and see us today. At our showroom in Downers Grove, IL., we carry quite a few of these Italian powerhouses priced to sell, and ready to find a new home in your garage. The all new Huracan has a 7-speed, dual clutch paddle shifting transmission and can come as a convertible or coupe. And the Aventador Roadster features the iconic gull-wing doors, powered by a monstrous V-12 engine and 7-speed manual transmission. 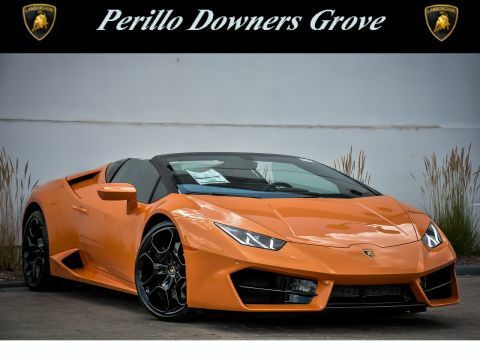 All the new Lamborghinis at Perillos are only the highest quality, and are waiting for you to come take a look to see if one is right for you. Stop by and see us today at 330 Ogden Ave. in Downers Grove today.